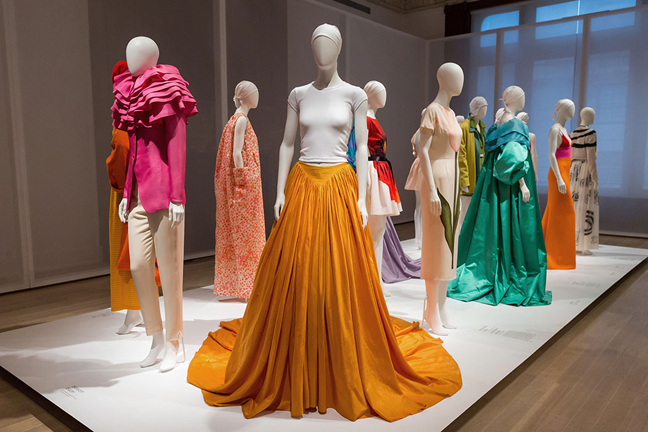 Isaac Mizrahi’s inventive and provocative style advances complex issues within the fashion arena, igniting a spirited discourse about high versus low, modern glamour, and contemporary culture. For example, his runway shows were cast with unconventionally beautiful models of all ethnicities dressed in Star of David belts, Western-wear infused handmade lace, Adidas sneakers in place of high heels, handbags worn as hats, or humble cotton undershirts paired with floor-length taffeta skirts. Uniting opposites is a Mizrahi signature, which arises in his many combinations of evening and sportswear, formal and casual, and couture and mass market. 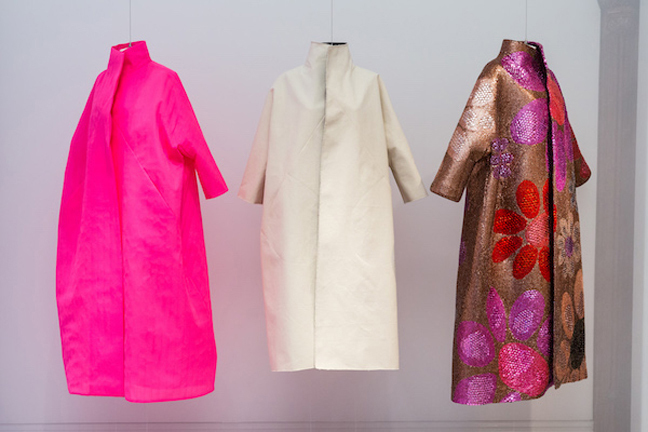 Isaac Mizrahi: An Unruly History is organized thematically, exploring key trends in Mizrahi’s work — from the use of color and prints, to witty designs that touch on issues of race, religion, class, and politics. 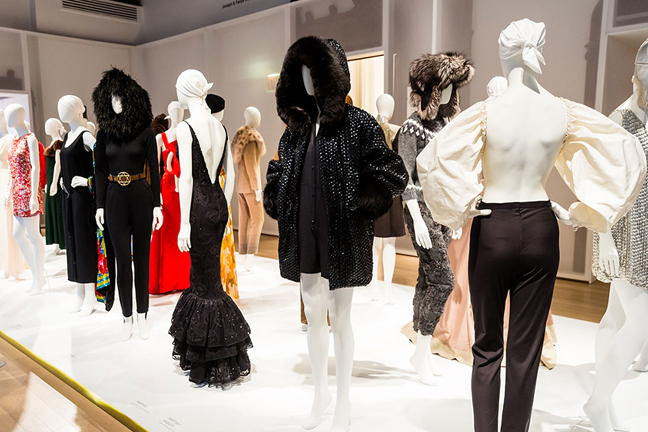 The core of the exhibition features iconic designs from the Isaac Mizrahi New York clothing label (1987 – 1998), the “semi-couture” collections (2003 – 2011), and the trailblazing line for Target (2002 – 2008). 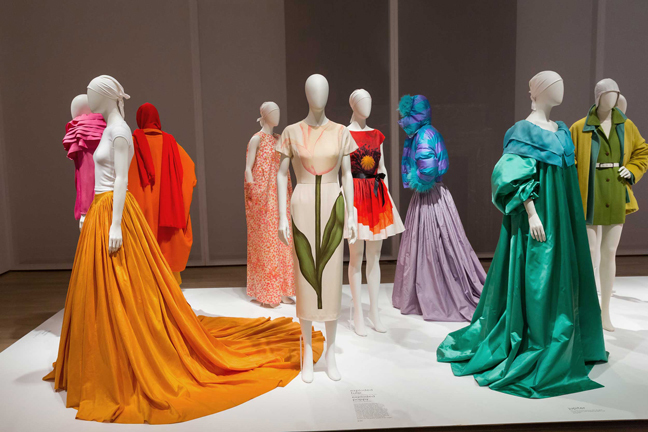 The show is comprised of 42 “looks” that include clothing, hats, jewelry, shoes, accessories, and costumes for the theater, the opera, and the Mark Morris Dance Group. Also featured are the designer’s original drawings, performance stills, and behind-the-scenes photographs. A bespoke multi-screen video installation showcases a variety of content drawn from film and television cameos and runway shows, as well as from the award-winning documentary Unzipped; the television program The Isaac Mizrahi Show; scenes from the cabaret LES MIZrahi; appearances on Project Runway; and the current QVC network show IsaacMizrahiLive!